Before we go into the details of what bodybuilding diets are composed of, let’s first and foremost define what the word diet means. The word diet typically sends shivers through people’s spine as it is often associated with starvation and with being food deprived. However, a diet is merely the food choices that one makes on a daily basis. For a bodybuilding diet we need to make sure that we select foods that help us to repair and grow from the workouts that we perform while at the same time fostering either a fat burning or a muscle gaining environment. What Makes Up A Great Bodybuilding Diet? A great bodybuilding diet, in my opinion, is a balanced diet consisting of 40% carbs, 40% proteins, and 20% Good Fats. This sort of diet seems to work best for the purposes of losing body fat while gaining some muscle. Depending on whether you want to mainly gain muscle and bulk up or mainly lose body fat, you will adjust your calories upwards or downwards accordingly. The bodybuilding diet that you have to choose depends on your level of experience and on your bodybuilding goals. 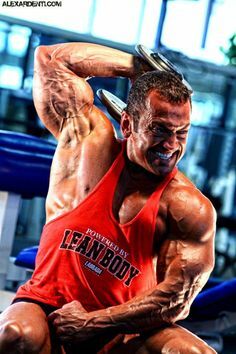 Beginning Bodybuilders: If you are a bodybuilder who is just starting out and has never embarked on a bodybuilding diet, then the beginner’s program for easing into a bodybuilding diet is the one to follow. 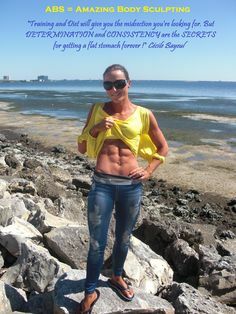 Lose Fat First: If you are a male bodybuilder above 10% body fat or a female over 12%, or if your goal is simply to go down and see your abdominal definition, then you need to select a bodybuilding diet that emphasizes fat loss. 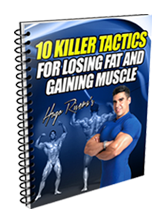 Gain Muscle Exclusively: If you are a male bodybuilder below 10% body fat or a female under 12% who wishes to add significant amounts of muscle, then you need a bulk up/weight gain diet. Beginner’s Bodybuilding Diet: This diet program helps a beginning bodybuilder ease into a bodybuilding diet by incorporating small changes into his/her current dietary program. Bulking Up/Exclusive Muscle Gain Diet: In order for a bulk up diet to be effective, it needs to be executed properly. Otherwise, you end up gaining way too much body fat, which at the end of the day, you will need to lose anyways. 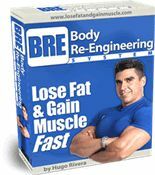 In this article you will learn how to design a bulk up/weight gain diet correctly so that you can maximize your muscle gains and minimize your fat gains. Because of the individual nature of a person’s metabolism, a bodybuilder looking to compete and look his/her best may need the diet to be adjusted to fit their individual metabolism. People with higher metabolisms that are leaner can get away with more carbohydrates and less cardiovascular exercise while less leaner people with a more normal, or even slow metabolism, can benefit from the diets as is. 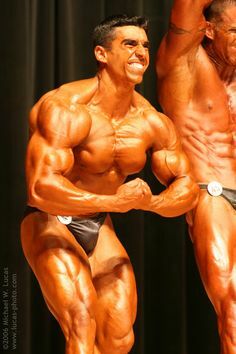 I recommend that if bodybuilding competition is your goal, you hire a bodybuilding coach that can help you with this process of figuring out what works best with your metabolism instead of following someone else’s pre-contest plan. The better you follow your bodybuilding diet, the better your bodybuilding gains will be. Stay focused, be consistent, and you’ll achieve the body of your dreams in record time! There are certain foods that have been found out to contribute to the enhancement of brain functions. Nuts for example can help people in boosting their brain capacity. There have been studies on specific types of nuts such as peanuts, walnuts, hazelnuts, pecans, almonds and hazelnut and results have been positive. People may be able to increase their memory ability as well as prevent certain diseases like the Alzheimer and the Parkinson’s diseases if they include a sufficient amount of niacin in their diet. They may be able to do this when they snack on peanuts for example.